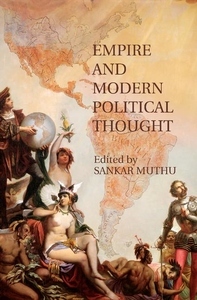 This collection of original essays by leading historians of political thought examines modern European thinkers' writings about conquest, colonization, and empire. The creation of vast transcontinental empires and imperial trading networks played a key role in the development of modern European political thought. The rise of modern empires raised fundamental questions about virtually the entire contested set of concepts that lay at the heart of modern political philosophy, such as property, sovereignty, international justice, war, trade, rights, transnational duties, civilization, and progress. From Renaissance republican writings about conquest and liberty to sixteenth-century writings about the Spanish conquest of the Americas through Enlightenment perspectives about conquest and global commerce and nineteenth-century writings about imperial activities both within and outside of Europe, these essays survey the central moral and political questions occasioned by the development of overseas empires and European encounters with the non-European world among theologians, historians, philosophers, diplomats, and merchants.